We’ve said it before, and we’ll say it again: Confidence starts with great skin. But contrary to popular belief (and the internet), achieving a flawless complexion doesn’t always require a time-intensive multistep routine. It’s more about having a clear understanding of the products you’re using, from the ingredients to the benefits. With that in mind, we sent five real women from all over the country to attend the American Academy of Dermatology Conference with SkinCeuticals, one of our all-time-favorite skincare brands, and report back on their learnings. Now, let’s get the obvious out of the way: We know there are plenty of great products on the market. 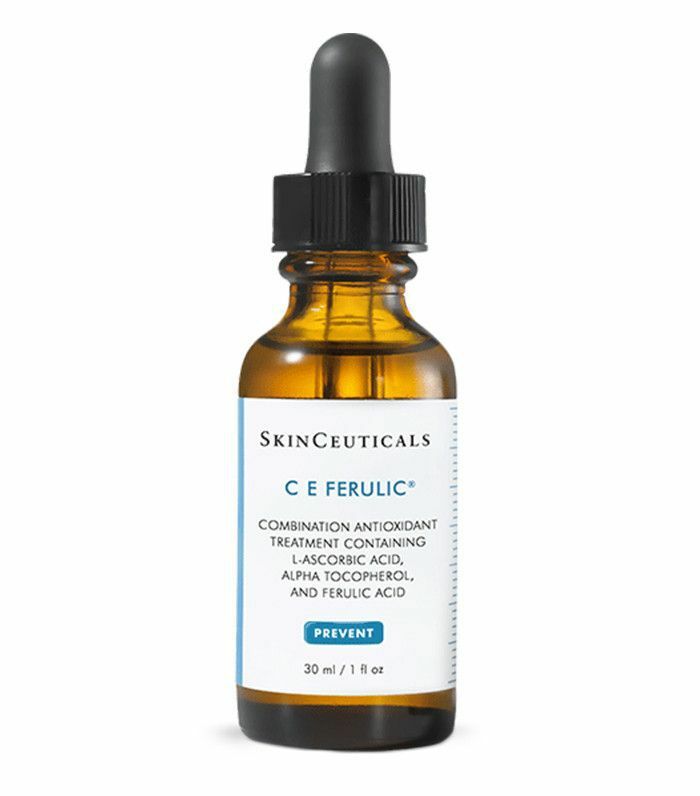 However, as all SkinCeuticals products are backed by science—meaning every item goes through extensive clinical testing to prove its immediate and long-term efficacy—we figured we all could learn a thing or two from the dermatologists and scientists behind the legendary brand. Ready to step up your skincare repertoire? Today we’re sharing the top five takeaways from the conference. As beauty editors, we’ve tried dozens of moisturizers over the years, and we always come back to hyaluronic acid–rich products. The potent substance can hold 1000 times its weight in water, making it one of the most moisturizing compounds in existence (which explains why we talk about it so much). Hyaluronic acid, which is naturally produced in our skin, is responsible for maintaining moisture levels. But as we age, our production levels decrease, so it’s important to add in a deeply hydrating product. Enter the company’s corrective hyaluronic acid serum, H.A. Intensifier. “It’s the only product on the market that contains purple rice and licorice root extract to preserve hyaluronic acid content in skin,” says Marissa Meade of Style Cusp, who had the chance to talk to world-renowned dermatologist Dr. Shino Bay Aguilera, D.O., at the conference. “Together, the ingredients support skin’s natural HA and help renew plumpness, elasticity, and firmness,” she adds. Now that’s a product we can get behind. We all know the dangers of sun exposure, but what about pollution? Despite what you might think, it’s equally harmful to your skin. Christina Beauchamp of Fashion & Frills spoke with R. Scott Peterson, PhD, head of medical affairs at SkinCeuticals, who filled her in on some unsettling facts. “Ozone pollution contributes to both respiratory problems and visible skin aging, like fine lines, wrinkles, and sagging skin. It oxidizes lipids and depletes the skin’s natural antioxidants,” he warns. When you think of aging, you don’t necessarily think of your lips right away. But the truth is your lips are one of the first places to show signs of aging. Most will lose their definition over time, but those with increased exposure to the sun will likely see lines and wrinkles too. Blogger Melanee Shale arrived at the conference with dry lips, but after speaking with Doren Pinnell, PhD, wife of the late Dr. Sheldon Pinnell (one of the founding scientists of SkinCeuticals), she knew exactly what to start using. 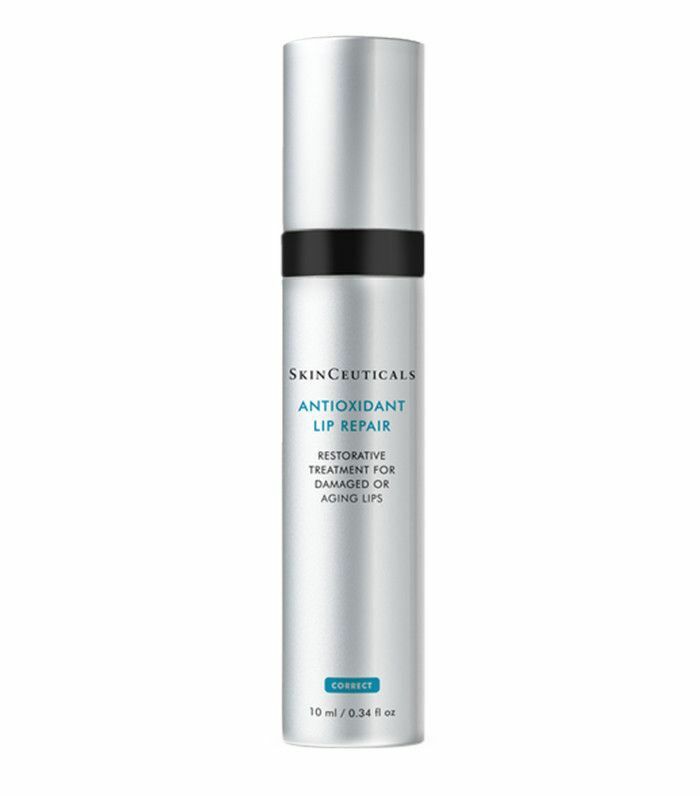 “Antioxidant Lip Repair helps attract and retain water to rejuvenate, replenish, and reshape lip tissue,” says Shale. If used daily, Doren Pinnell says you will see an improvement in your lips’ overall look and texture. Anna English of The Styled Fox is a busy lady. While the Houston-based blogger admits that her daily beauty routine is minimal since she’s always in a rush, she’s interested in ramping up her skincare efforts. 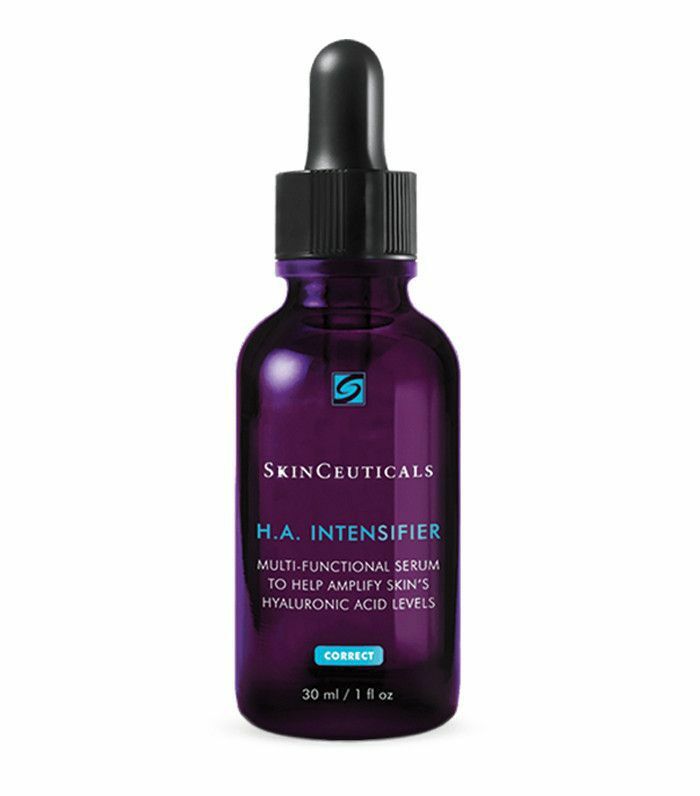 Leslie Harris, global general manager for SkinCeuticals, says that the products are cosmeceuticals—products on the cutting edge between cosmetics and pharmaceuticals with active ingredients expected to be clinically proven to enhance skincare efficacy. Harris notes that if English is only going to spend a few minutes applying skincare, the products should be ones that work harder for you. That’s why she suggests that English follow the brand’s three-step philosophy—she’d save herself valuable time. So what are the three steps? “Prevent visible signs of aging with antioxidants, protect your skin from UVA/UVB rays with daily sunscreen, and correct visible signs of existing damage with targeted solutions like retinol,” says Harris. If you’ve ever invested in a product that didn’t actually help (and we all have), don’t be afraid to reach out to a dermatologist for a skin consultation. After visiting with her primary physician and seeing no improvements in her hormonal acne, Kerrie Burke was open to trying something else with the help of a skin specialist. 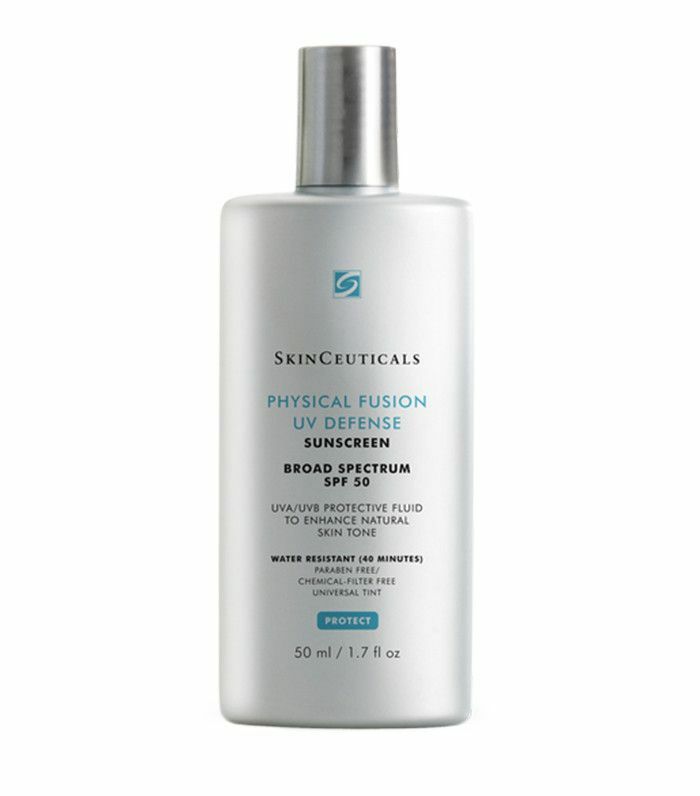 “What makes the SkinCeuticals consultation process unique is being able to use its Skinscope Skin Analysis, which involves a UV light going deep under the skin to highlight any dry, oily, and congested areas,” explains Burke. Why is this worthwhile? Being able to see your problem spots in such detail will better educate you and your dermatologist on which products your skin needs for the best results. 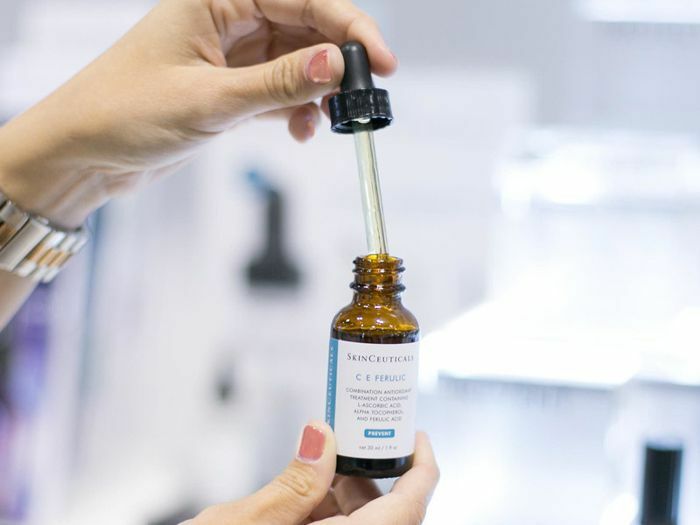 What’s more, SkinCeuticals is partnering with practices and medi-spas throughout the country that will exclusively be offering its products, in addition to easy-to-follow regimens and treatment plans to help improve patients’ skin. Look for a SkinCeuticals Advanced Clinical Spa near you for this comprehensive experience. Does any of this make you want to revamp your skincare routine? 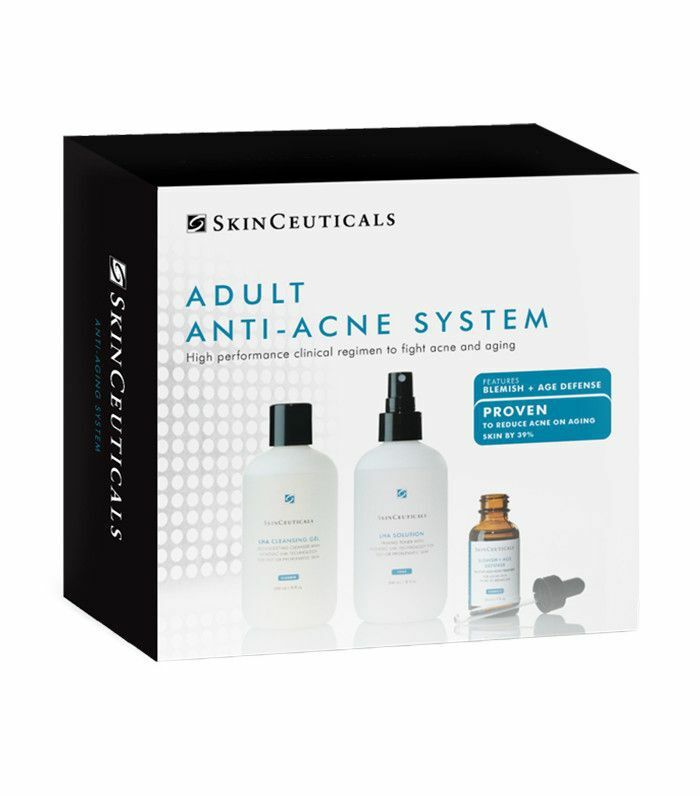 Let us know, and head over to SkinCeuticals to learn more about the products and their benefits.